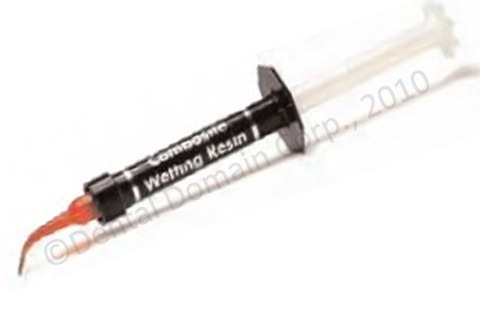 Use Composite Wetting Resin during incremental layering of composite materials. We recommend it be used when the oxygen inhibition layer has been removed or disturbed (e.g., washing the composite surface following contamination). Composite Wetting Resin may be placed on the composite surface if it has become dry while contouring composite. Use Composite Wetting Resin on an instrument or brush to enhance glide. Composite Wetting Resin greatly facilitates adaptation of the composite restoration and preparation.